Police in Greece on Tuesday said they had arrested three members of a Greek NGO on suspicion of helping migrants illegally enter the country. Members of the group were in contact with migrants on social media groups and "actively assisted" their illegal entry into Greece from 2015 onwards, according to the statement. To keep tabs on migrant flows, the accused also illegally monitored Greek coastguard and EU border agency Frontex radio traffic, authorities said. Any information gathered was not shared with Greek authorities, the police said. Overall, six Greeks and 24 foreign nationals were implicated in the case, they added. Among those arrested was Sarah Mardini, a 23-year-old Syrian refugee student and scholarship recipient of Bard College in Berlin. Her sister Yusra -- a UNHCR goodwill ambassador -- participated on the refugee team at the Rio 2016 Olympics. A year earlier, the sisters had employed their swimming skills to pull the water-logged boat that brought them over from Turkey with another 18 people onboard. "They did nothing wrong, they want to help people out of idealism," said Yusra's swimming coach Sven Spannekrebs. "I was on Lesbos a few weeks ago and saw what all the volunteers are doing: A great job," he told AFP via email. Spannekrebs said Mardini and another detainee, Sean Binder, were "long term volunteers for ERCI (and) never engaged in any illegal activity as suggested by the authorities." He also cast doubt on the claim that the activists were illegally listening in on encrypted coastguard radio. "The channels that the radios had access to are open to anyone to listen," the coach said. Police said two ERCI activists had already been arrested in February onboard a jeep with concealed fake army license plates. ERCI did not immediately respond to a request for comment. 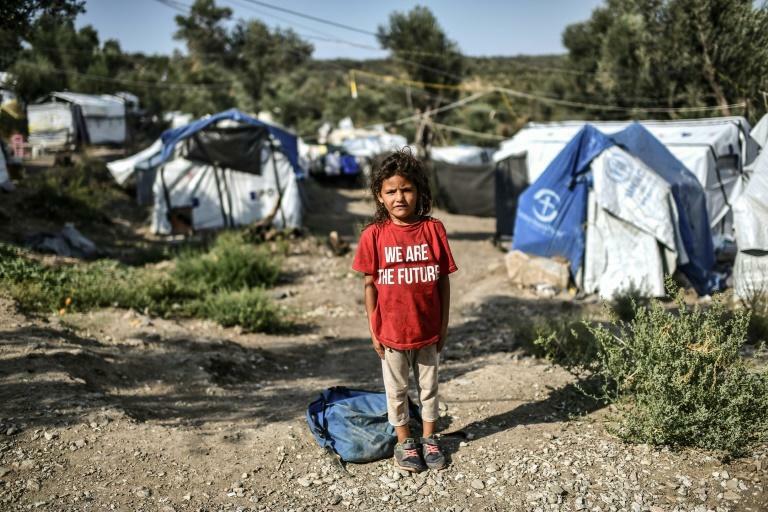 It now has the highest concentration of migrants in Greece, with the worst conditions in the camp of Moria where over 8,300 people live, according to UN figures -- about triple the nominal capacity. The overcrowding also means that the vulnerable -- including women and unaccompanied minors -- are in close quarters with non-family men.